Companies these days are increasingly relying on embedded Linux solutions for hardware solutions and also to evaluate multiple architectures. Embedded Linux platform enables them to build a customized commercial quality solution that helps them being ahead of the curve. 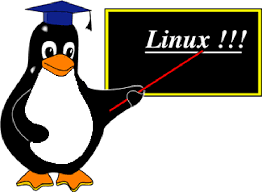 Embedded Linux systems finds application in various domains such as consumer electronics, industrial automation, navigation equipment, medical instruments, etc. With years of experience in Linux based solutions, E Chip Control Systems delivers custom built Linux solutions that cater to the different needs of the customers. Bosch has the expertise and the knowhow to leverage the growing demand for Linux in embedded devices and provides solutions to its clients. E Chip Control Systems has over two decades of industry experience; and this translates into advanced products and excellent services in every industry vertical the company is operating in. E Chip Control Systems utilizes its enviable experience to deliver advanced open source Linux-based products to its customers. E Chip Control Systems has a global presence and is equipped with cutting edge infrastructure and highly trained professionals. The Linux Services offered by Bosch helps customers in improving their bottom line by delivering high quality embedded products to market in time.